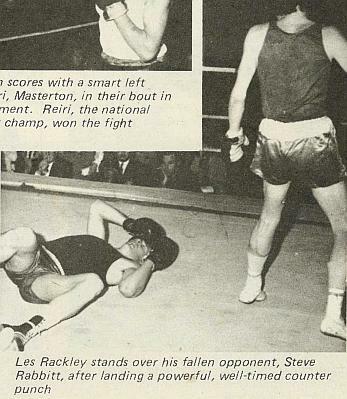 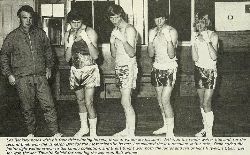 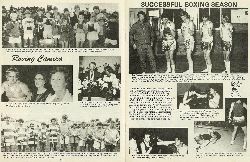 Five national titles were won by Nelson boxers this year and they all came from Les Rackley's stable, which is a fitting reward for the tremendous amount of work put in by Les and his boys. A glimpse of the skill of one of these boxers, Les jnr, was given in the final tournament of the season at Richmond. 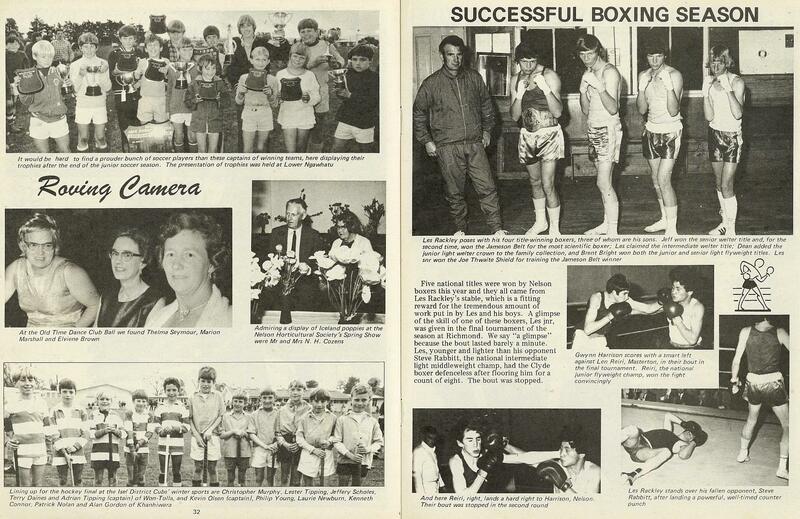 We say "a glimpse" because the bout lasted barely a minute. 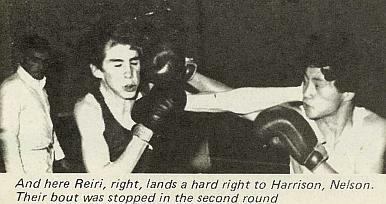 Les, younger and lighter than his opponent Steve Rabbitt, the national intermediate light middleweight champ, had the Clyde boxer defenceless after flooring him for a count of eight. 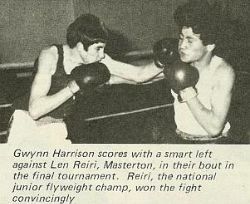 The bout was stopped.